Deputy Samantha Cody finally bagged her man. The jury's verdict: three counts of murder in the first with special circumstances and a recommendation of death by lethal injection. Only Judge Westbrooke's final decree stands between Richard Earl Garrett and death row. After three weeks of an exhausting trial and being haunted by images of the three sacrificially mutilated children, Sam's only wish is to wash her hands of Garrett, whose only defense is "the devil made me do it." Just as the chaos in Mercer's Corner settles down enough for Sam to focus on her dream of entering the world of women's professional boxing, the jury foreman and two members of the jury die under suspicious circumstances. 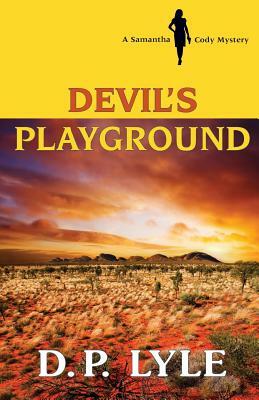 When more murders occur, each with Garrett's signature, a cadre of characters flocks to the tiny California high desert town, from pseudo-Satanic followers to a crazed reverend with his First Church of God disciples. Soon the town is whipped into a lynch-mob frenzy, and Sam's world of hard facts and pragmatism has quickly spun out of control.